Police are searching for a man who they say punched a woman from behind in an attack that broke her spine. A young woman was punched from behind in an attack that fractured her spine by a man who called her an anti-gay slur, the NYPD said. 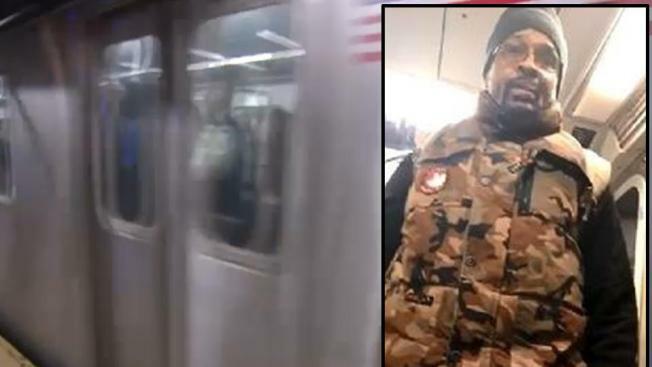 The man, who is believed to be in his 50s, approached the 20-year-old victim on the Manhattan-bound E train near the Forrest Hills station on Nov. 30, the NYPD said. He called her a slur and, as she walked away, he punched her in the back of the head, police said. He also shoved her to the ground, where she struck her head, police said. The man got off the train at the Forrest Hills station. The woman was taken to Elmhurst Hospital where she was treated for a fractured spine, police said. The man is described as about 5 feet, 11 inches tall and 220 pounds.